Original Content: How Did That Talk You Gave Go, Gail? Quite well. Thank you very much for asking. Tuesday night, I was one of four authors speaking at Avon Free Public Library's Children's Authors' Night. This was part of the library's summer long Local Author Festival. I've noticed a drop in children's author appearances in this state recently. Avon Free Public Library really stepped in to fill a gap. Jerry Craft was the evening's first speaker. He's a cartoonist and graphic novelist whose work has been featured in Ebony and The Village Voice, among other publications, and distributed by King Features. 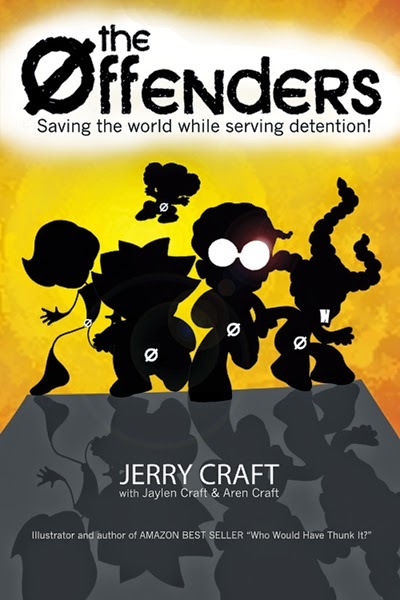 He published a collection of his comics in Mama's Boyz, has illustrated other authors' books, including The Zero Degree Zombie Zone, and has written middle grade books, including The Offenders. 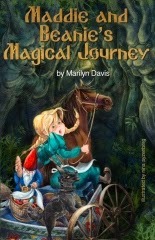 Marilyn Davis's Maddie and Beanie's Magical Journey was inspired by her work rescuing horses. This is a fascinating subject she's also written about for journals. Stacy DeKeyser is the author of an intriguing YA novel called Jump the Cracks, which I read about five years ago. Very unique story. 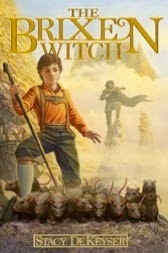 On Tuesday, she spoke about where writing ideas come from in general, and how she came up with the idea for her most recent book, The Brixen Witch. And what did I do at Children's Authors' Night? Well, I didn't take a picture of myself, that's for sure. What I did do was discuss my experiences with both traditional and self-publishing, with particular emphasis on Saving the Planet & Stuff, since it is my self-published eBook. And we'll be seeing each other again tonight.